Imagine how much the management structure of Google has changed since two Stanford students started collaborating on a web browser in 1996. During those early days, workers and management shared office space, and it likely was no problem talking to one of the founders. Could you see this scenario playing out with today’s Google? You can’t, of course. Google has grown way too large for a single person or persons to answer all questions. Developing specialties among employees helps any company tackle larger projects and larger clients, and should free the president or CEO and other top executives from many customer-centric tasks to focus on growth and other business objectives. Your company probably is nowhere near the size of Google, but is your company poised for growth? It can grow by identifying the strengths of the current workforce, noting any gaps, and suggesting what skill sets your next hires need to possess. Many small companies we’ve worked with have discovered an opportunity to grow (like finding a new large client for a B-to-B company or a adding a new distribution or retail channel for a B-to-C company), but find that they can’t scale the business. Or they’ve started that growth path only to find themselves frustrated by missteps. 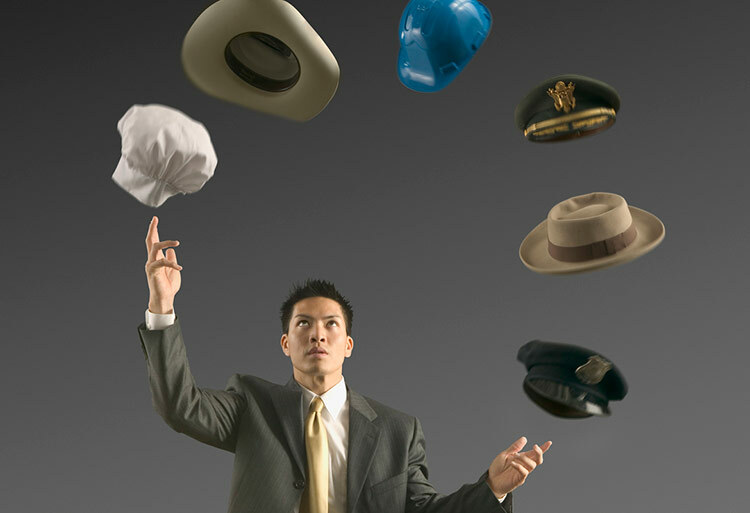 While a company is small, everyone pitches in and wears multiple hats. The salespeople do customer service; the CTO provides tech support; customers all have the CEO’s mobile phone number and don’t hesitate to call for a billing question or to check on product availability. While this level of owner attention may be great for customers, it makes it very difficult to separate individual employees from the roles they are filling. It is these roles into which new employees must be hired if the company is to have any hope of growing successfully, let alone benefiting from new economies of scale. Then, in order to onboard new employees efficiently, those new employees must understand not only their roles, but must also understand what they will be expected to do and, at least to some extent, how they are expected to do it. This is where well-defined workflows come into play. By studying an existing workforce and identifying the various roles being filled, the skill sets that are in greatest demand can be identified. Yes, we all know that the CFO is overworked, but why? Do we hire someone to handle payroll, or accounts receivable? Or maybe we’re ready to outsource payroll? As a company moves from 12 employees to 20, to 30 and so on, the ideal employee skill mix will change. Employees will become more specialized and key processes will require contributions from more and more people or departments. Once new employees are hired and processes are updated, everyone must buy into the new processes and work within the new rules. Developing a new process but continuing to rely on (and overwork) the gurus will result in mistakes, missed deadlines, and frustration all around. So part of the growth plan must include adjusting the company culture to reflect the new organization and processes. This often entails helping the founders define what they should be doing and what they shouldn’t and then reinforcing that message among employees and customers. A CEO doing business development and guiding the new customer engagement process? Definitely. Serving as the company thought leader? Of course. Answering billing questions? Ah, no. TowerSource, based in Atlanta, is a full service cell site development company with a client list that includes Verizon, SouthernLinc, Sprint, AT&T, T-Mobile and MetroPCS. The company enlisted Provaré to assist in defining project management processes that could scale with their growing client base. The current and upcoming contracts had seen the company nearly double in size, and executives needed help to identify the strategic positions they needed to fill in order to seize these new opportunities. Processes were defined and refined. New roles were created within these processes to handle tasks that were distracting the technical and leadership teams from focusing on higher priority concerns such as growing the business. Better workflow between teams and defining responsibilities kept the billable work visible to leadership. TowerSource did exactly the right thing, getting help as soon as possible to determine where the company was in terms of headcount and job responsibilities and what it should look like at the next logical progression in size.